BEHAVIOUR/TEMPERAMENT: Tough and active with excellent jumping ability. A loyal family dog. has kept its own original type for so many years is due to poor transportation systems in the eastern part of Thailand; it had fewer chances to crossbreed with other breeds. structure is suitable for activities. TAIL: Thick at base with gradual tapering toward the tip. The tip can reach hock joints. Carried vertically and slightly curved. SKIN: Soft, fine and tight. Throat : no dewlap. NECK: Medium length, strong, muscular, slightly arched and holding head high. sloping when seen from the side. throwing the feet in or out; thus enabling the stride to be long and drive powerful. 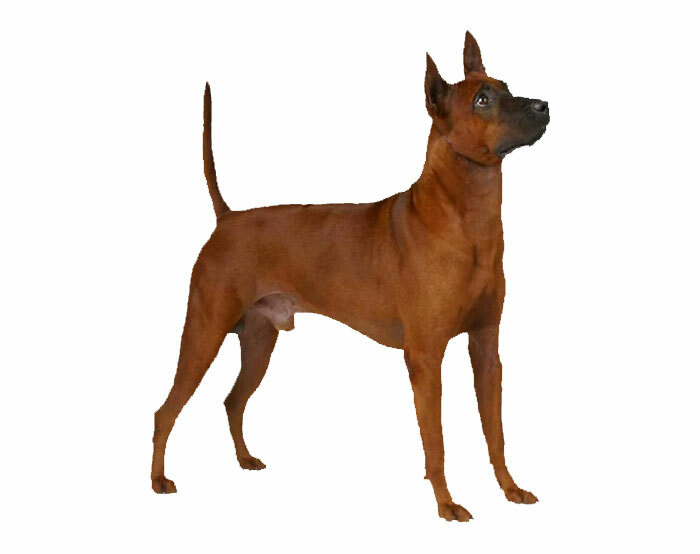 The overall appearance of the moving dog is one of smooth flowing and well balanced rhythm. either side of the backbone and within the width of the back. Crowns or whirls at the head of the ridge are acceptable. Colour: Solid colour : red, black, blue and very light fawn (isabella). Black mask is preferable in reds.